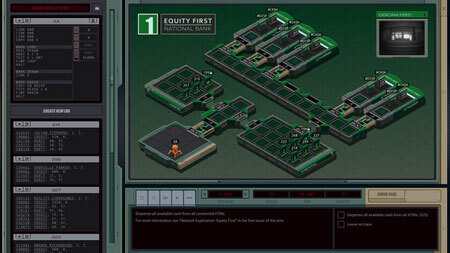 Exapunks is an awesome puzzle simulation game from Zachtronics. The year is 1997. You used to be a hacker, but now you have the phage. You made a deal: one hack, one dose. There’s nothing left to lose except your life. Learn to hack from trash world news, the underground computer magazine. Tutorials, hacking tips, secret information, searing commentary has you covered. Program your EXAs to tear through networks, replicate themselves, trash files, terminate other EXAs and leave without a trace. Hack banks, universities, factories, TV stations, highway signs, game consoles, the government and your own body. This entry was posted in PC Games, Walkthrough and tagged Exapunks Cheats, Exapunks Game, Exapunks Gameplay, Exapunks Guide, Exapunks Hints, Exapunks Review, Exapunks Solutions, Exapunks Strategy, Exapunks Tips, Exapunks Walkthrough by Marvin. Bookmark the permalink.